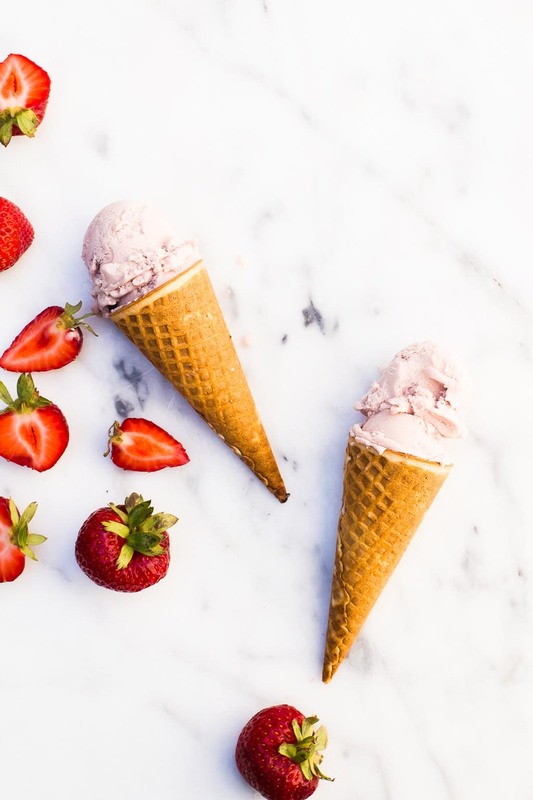 Fresh strawberries in season don’t need much to make them a perfect dessert all by themselves! 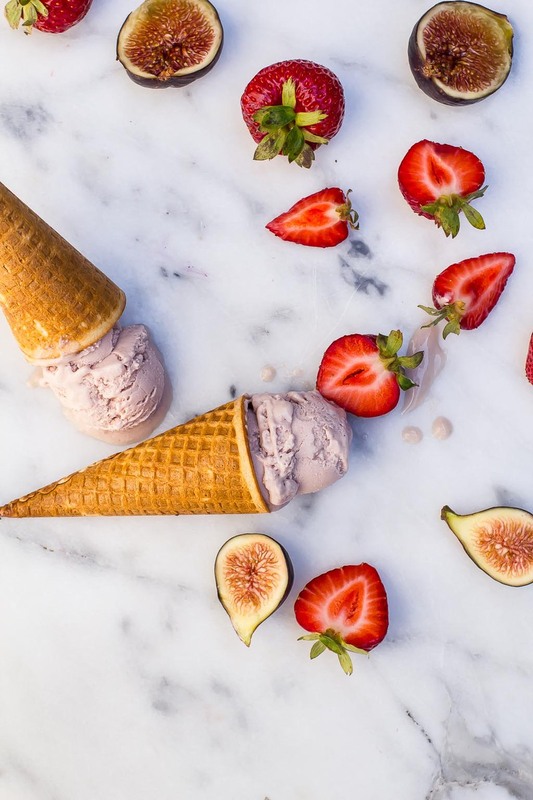 But when it gets so hot outside, they make a delicious and refreshing gelato as well-olive oil and cashews give a rich mouthfeel and the strawberries are bursting with juicy goodness. 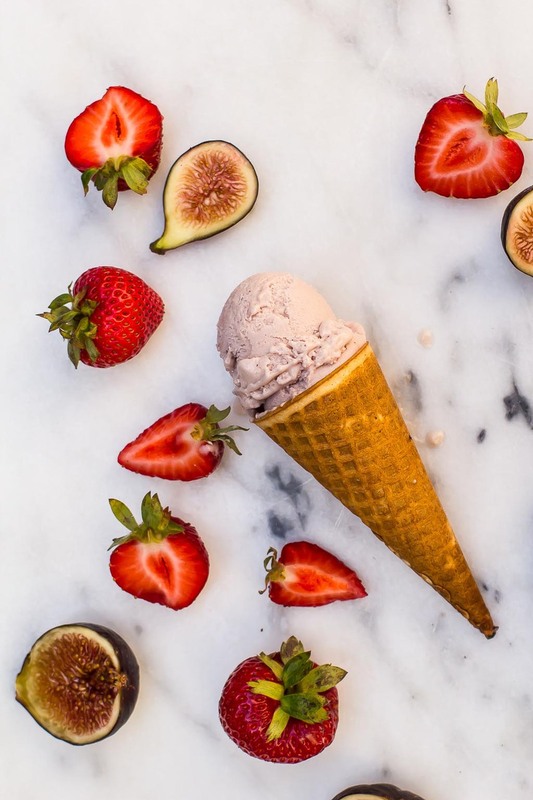 Pair this vegan strawberry gelato with fresh summer strawberries and figs to keep it really fresh! 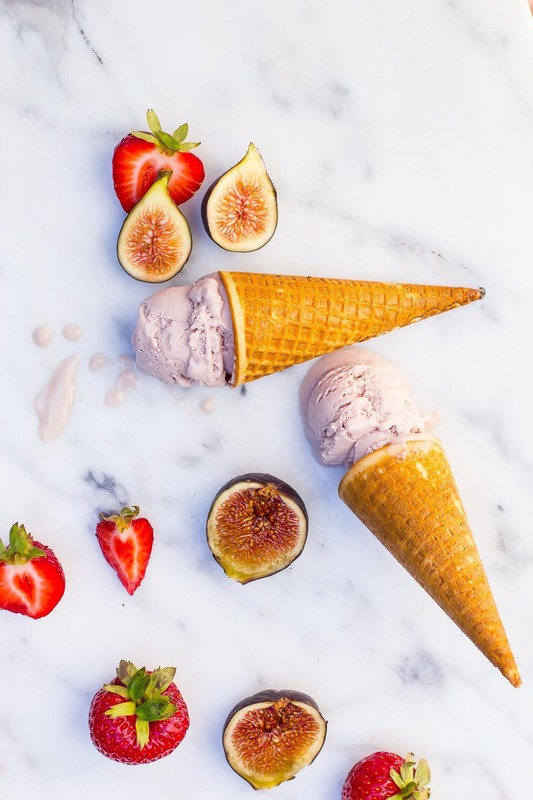 A drizzle of balsamic glaze is a nice addition as well both for the fruit and the ice cream. I also recommend allowing the ice cream to soften up at room temperature before scooping to help it have the right texture. 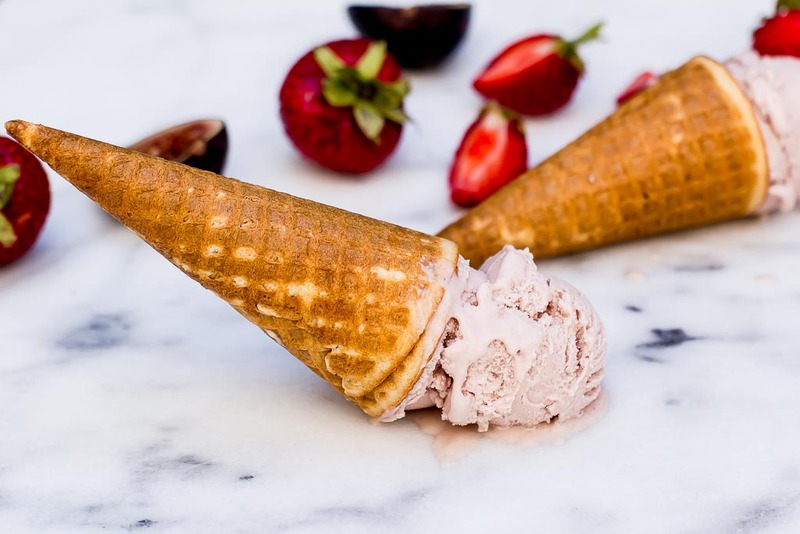 Blend everything until smooth and process in an ice cream maker according to the manufacturer’s instructions.